Today, Pavtube Studio has upgraded his main 3 Blu-ray ripping tools to support the new Blu-ray encryption MKB v62. If you are the customer of Pavtube product, you can get the upgrade free to get the technology of decrypting MKB v62. Of course, this upgrade won’t affect the original functions of Pavtube Blu-ray Rippers to break down Blu-ray encryptions including AACS, BD+,UOP,DRM, HDCP, BD-ROM, Region codes, MKB v61, etc. These three Pavtube Blu-ray Ripping tools are exactly Pavtube BDMagic, Pavtube ByteCopy, Pavtube Video Converter Ultimate.Now, let’s learn the upgrade and the main features of each Blu-ray ripping tool. 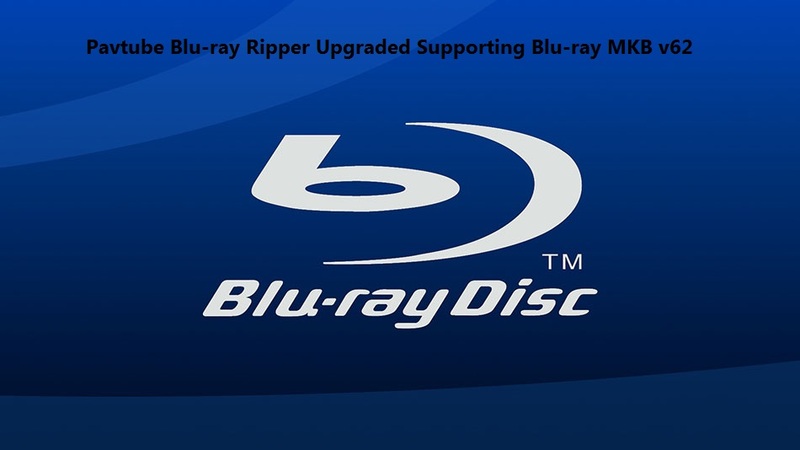 1.support latest Blu-ray MKB v62. – 1:1 backup BD/DVD with original video structure. – Main title copy BD/DVD with smaller size. – Copy BD/DVD to MKV with lossless quality. – Convert BD/DVD to MP4/MOV/AVI with multiple subtitle/audio streaming. More functions of ByteCopy is in the review. – Convert Blu-ray/DVD to SD/HD MP4, MKV, AVI, etc to NAS, Media Server, etc. – Rip Blu-ray preserving AC3, AAC, DTS audio in stereo, 5.1, 7.1 sound. More functions of BDMagic is in the review. – Convert 4K Blu-ray to SD/HD MP4, WMV, MOV, QuickTime, ProRes for editing in NLE. – Convert, shrink, compress Blu-ray, DVD to YouTube, FaceBook, Vimeo, Instagram, Google Plus, etc. More functions of Video Converter Ultimate is in the review. You can use Pavtube Blu-ray Ripper to decrypt some new released Blu-ray including: The Walking Dead, Stranger Things, The Revenant, The Martian, Hannibal TV Series, Game of Throne (1-6), Spectre 007, Zootopia, Harry Potter, Independence Day, The Divergent Series: Allegiant, The Walk, Avatar, House of Cards, Bridge of Spies, Mad Max: Fury Road, Room, Spotlight, By the Sea, The Family Fang, Absolution, Roots, Code of Honor, Now You See, The Adderall Diaries, Arch Angels, Shchedrin: The Left-Hander, Sherlock, Ghost Rider / Hellboy, The Da Vinci Code, The Da Vinci Code, Doro: Strong and Proud, etc.